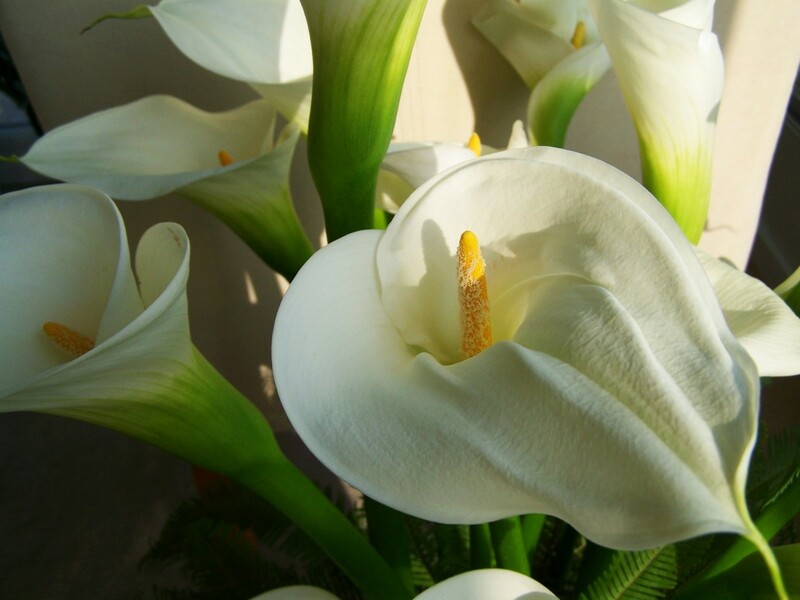 Although traditionally thought of as white, calla lilies are available in a variety of colors. The structure we normally associate as the calla lily isn’t really a flower. 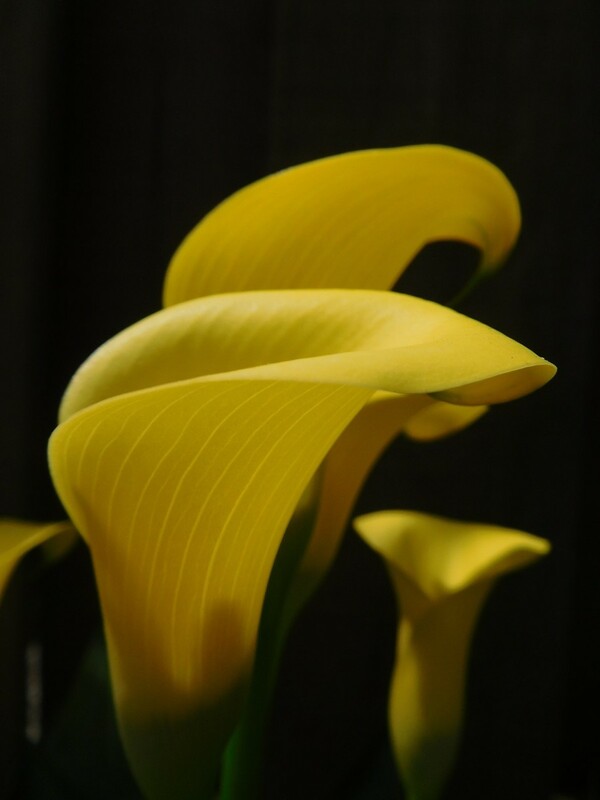 The “bloom “of the calla lily is a modified leaf, not a weirdly shaped flowerer petal. True lilies have true flower petals produced on long, leafy stalks. Calla lilies stand 1 to 3 feet high and are about 1 to 1 ½ feet white at full maturity. Dark green arrow-shaped leaves surround the spathe (the flower-like structure) and spadix (the stigma-like structure). Calla lilies aren’t grown from seeds they grow from a rhizome. Moisten potting mix with warm water until the texture is moist but not soggy. Use your hand to distribute the moisture evenly. Add moistened potting mix to your pot until it is about 2/3 full. Push the rhizome slightly into the soil with the pointy side up. Cover the rhizome with the remaining moistened potting mix, and water thoroughly. Rhizomes should be placed no more than 3 inches deep. Place the pot in a warm location, and keep soil soggy. Consider placing the pot on a saucer of water to keep moisture levels constantly high. Place the pot in a sunny location (preferably south-facing window). Expect the plant to bloom 8 to 16 weeks after potting. Move the plant outdoors to a full-sun location. When the foliage fades, stop watering, and cut back to just above the soil level. Calla Lilies requite a period of dormancy. Bring indoors before any frosts. Dig rhizomes up before threat of frost. Shake off excess soil, and allow the rhizome to dry off for a few days before store it indoors in sand or dry peat moss in a cool location. Calla lily “blooms” sometimes turn green and roll up into a tube after they have had a spectacular show of color. Although alarming, this is not unusual, and is actually a part of the normal maturation life cycle. 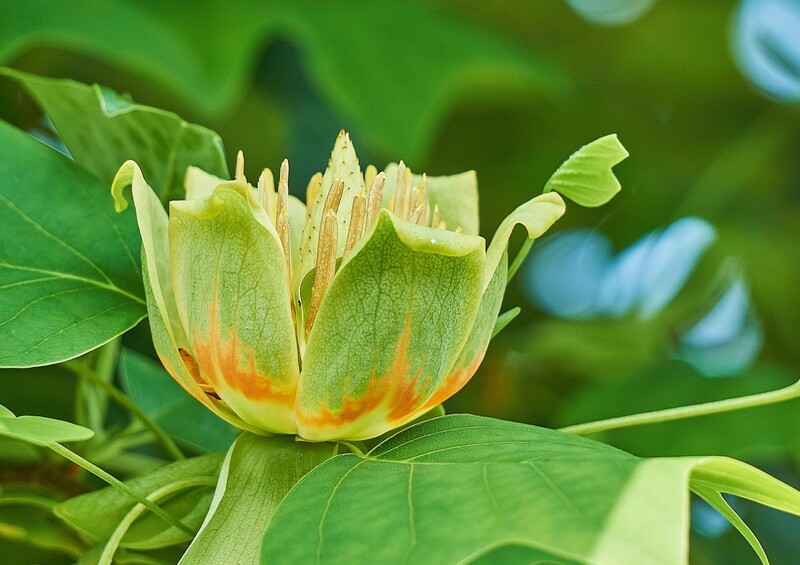 The bloom turns green when the plant starts to focus energy on the leaves and fuel up for the next season’s growth. 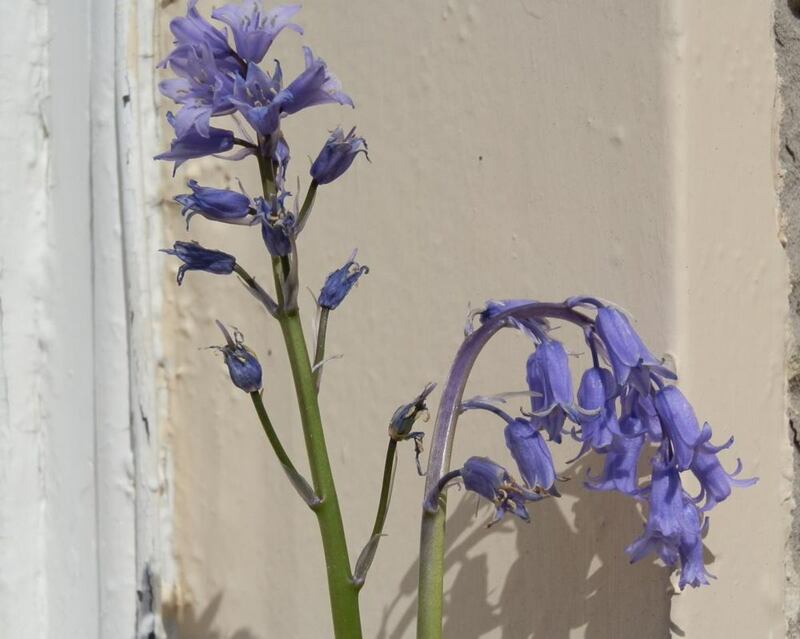 When the flowers turn green and limp, cut the stems back with sterilized scissors and clip the stem near the base. Unlike any other plants, deadheading calla lilies won’t encourage new growth. 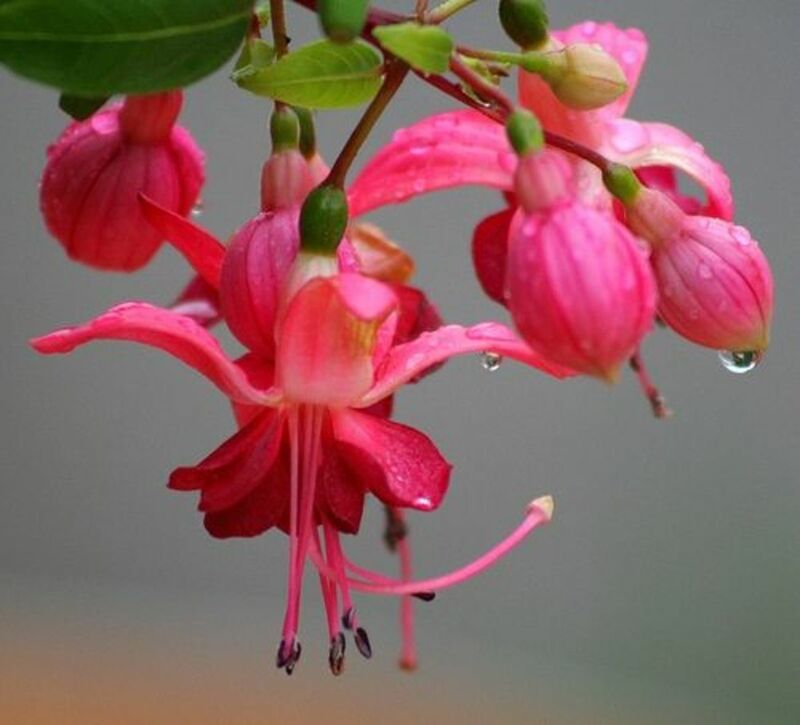 Your plant won’t bloom again, but the overall plant will look great. Handle calla lilies carefully because they can bruise easily. Store your bouquet out of direct sunlight in a cool location; avoid drafty areas. Calla lilies love water, so you’ll need to monitor water levels often. Refresh the stems of your calla lilies about every three days. Using sterilized scissors, cut at a 45-degree angle to encourage better water absorption. Change the water, and add flower food or one teaspoon of sugar and two drops of liquid bleach. 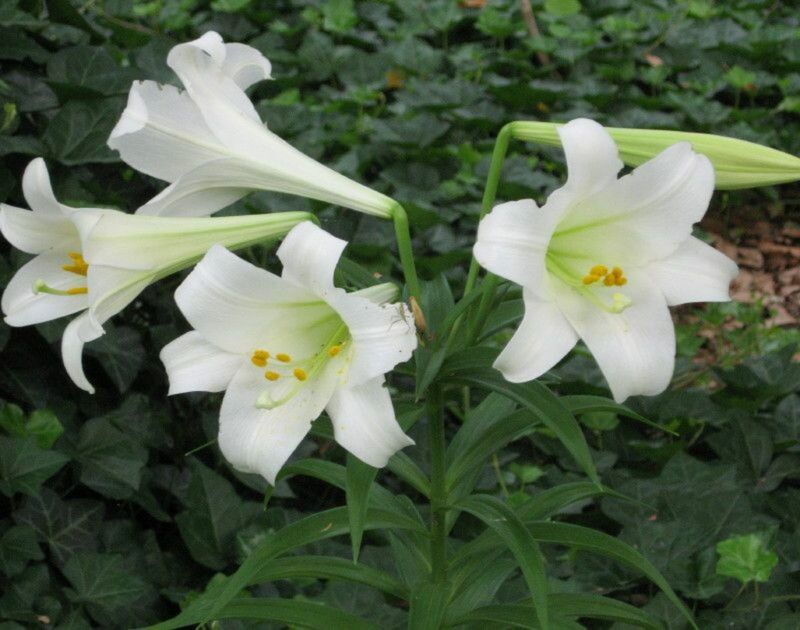 Plant the lilies about 1 foot apart to ensure the plant has adequate room to grow. 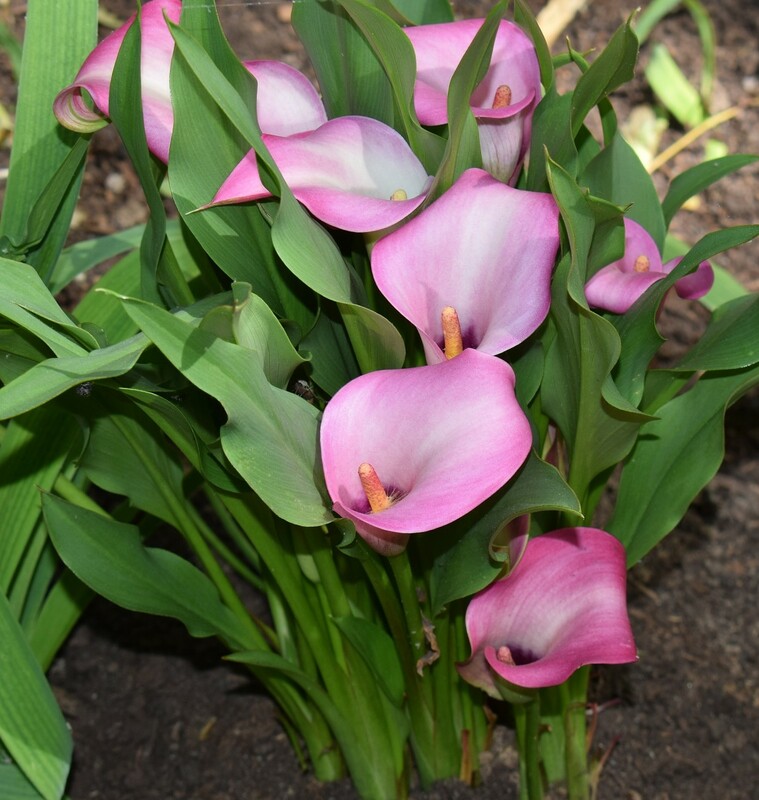 Calla lily roots are poisonous if ingested, so take precautions if you have children or pets around. Fertilize calla lilies monthly to ensure a healthy plant, but avoid fertilizers with too much nitrogen, which can cause the bloom to droop. If your calla lily starts to droop monitor water levels closely, it just may be thirsty. Avoid adding too much water to limit the chance of root rot. Can I separate my calla lilies after blooming? If so, how do I do It? It is best to separate calla lilies in the late winter/early spring (after danger of frost has passed) or in the late summer/early fall (when the plant has finished blooming). Watch the last video on this article for an example of how to separate the calla lilies. It really is as simple as popping the plant out of the pot, pulling the plant apart, and removing excess soil from the tuber. My calla lily blooms are facing downwards. Why is this? What can I do? Calla lily blooms can droop for a variety of reasons. First look to see if the plant is stressed. Is it in a too cold or too hot location? Are you over watering or under watering the plant? Consider the amount of fertilizer you are applying as well; you may be giving it too much nitrogen. 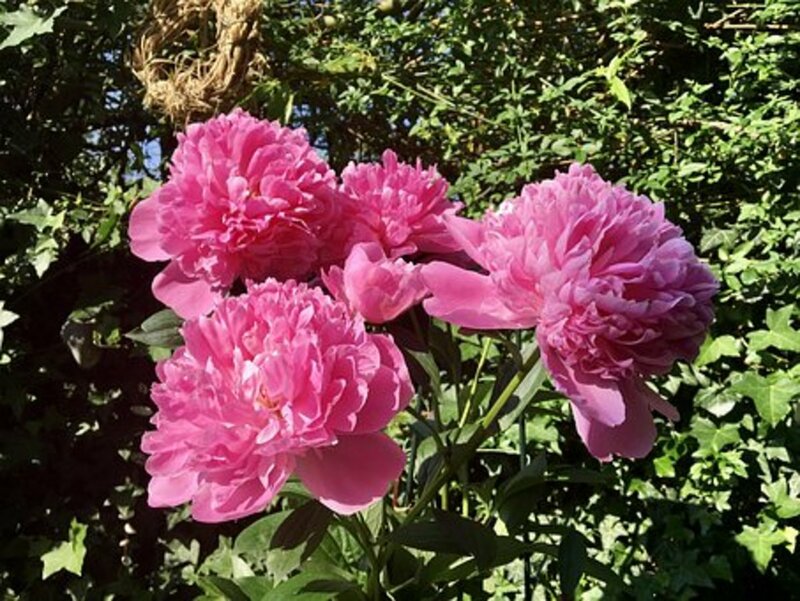 Large blooms that are too heavy for the stem may also cause it to drop over. Hopefully, your calla lily is suffering from a lack of water, as this is the easiest fix. Give it a drink, and hopefully, it perks back up. Do calla lilies produce seed pods? Yes, calla lilies do produce seed pods. 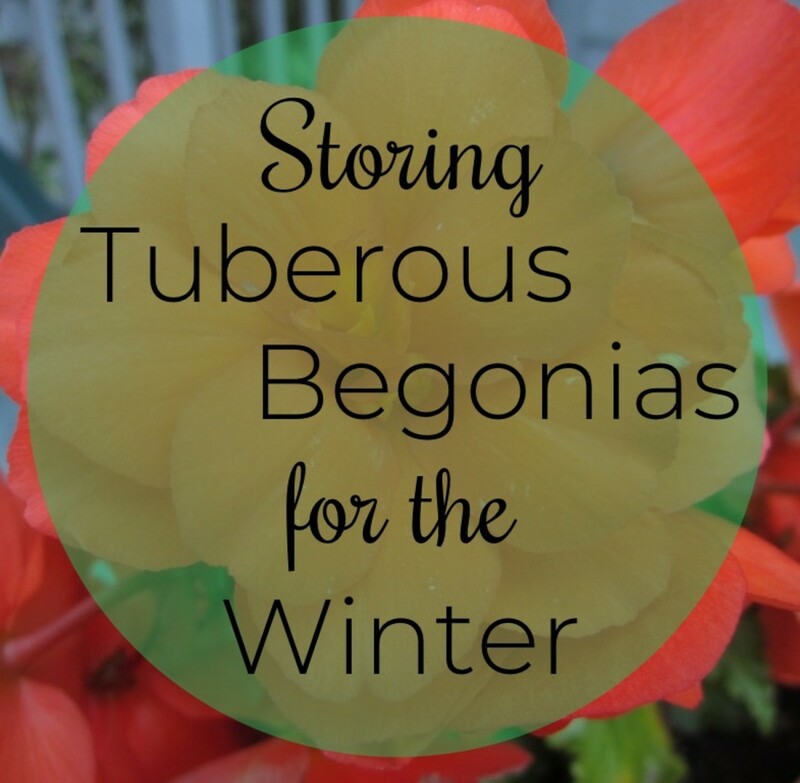 Allow the pods to dry out on the plant and then store it away for the winter until you plant it again in the spring. Store it in an airtight container in a cool, dry place until you replant the pod. Can calla lilies be planted outside and left there through the winter? Winter care for calla lilies really depends upon your climate. If you live in USDA hardiness zone 8 or higher, you should be fine to just apply a mulch over the area to help keep the soil warmer. Gardners in hardiness zones 7 or lower should remove the bulbs for winterizing. Will Calla lilies live happily in Japan (the hotter part)? Can a calla lily be rooted in water from a cutting? You should be able to divide a calla lily and grow that in water, as long as the division has a rhizome with an eye. A cutting wouldn't work though, as it doesn't have a rhizome. How do I care for my potted Cala Lily in Florida? 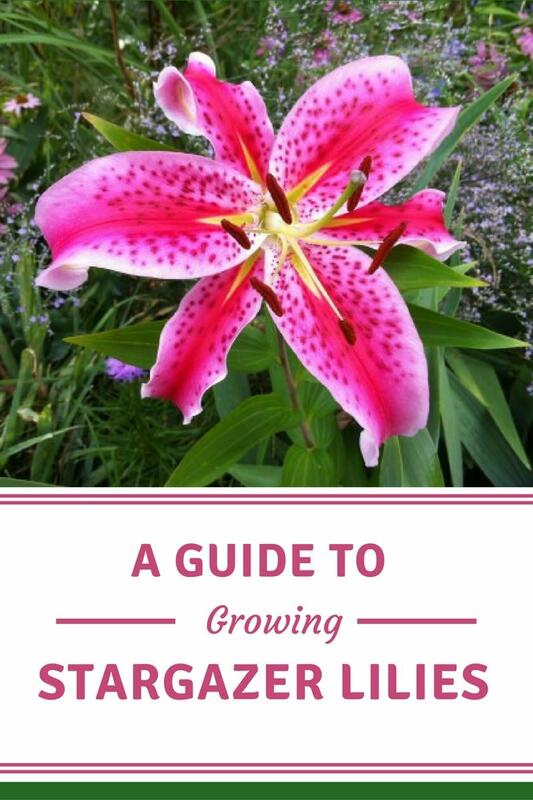 Although all Floridians should be able to grow Cala lilies, you may find better success growing the plant outdoors if you live in northern or central Florida where temperatures are somewhat milder compared to the temps in the southern part of the state. 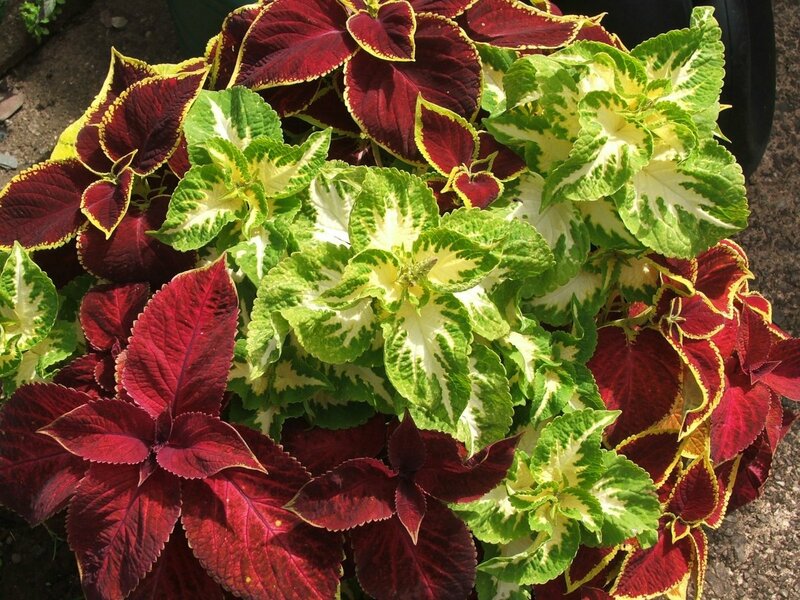 Gardeners in southern Florida should treat the plant as an indoor container plant. Overall care is the same, no matter where you live. However, you'll likely find that the plant blooms in the spring for central and northern Florida, and the fall for southern Florida.